Judith, the Scourge Diva ($1.80) Price History from major stores - Ravnica Allegiance - MTGPrice.com Values for Ebay, Amazon and hobby stores! Card Text: Other creatures you control get +1/+0. 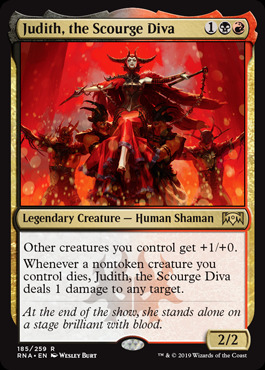 Whenever a nontoken creature you control dies, Judith, the Scourge Diva deals 1 damage to any target. 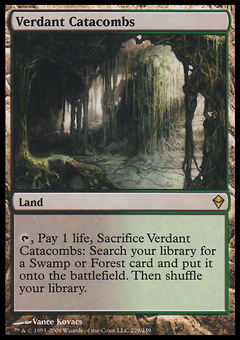 Flavor Text: At the end of the show, she stands alone on a stage brilliant with blood.